Nature is so beautiful and the lady bug is a beautiful colourful insect. 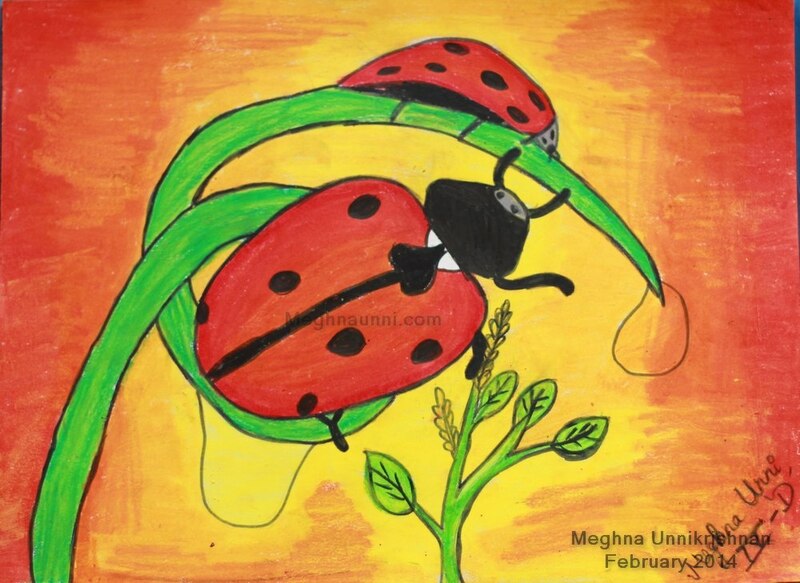 So thought of making a painting of the Lady Bug for a show at School. Used Oil Pastels for this painting and I liked it.